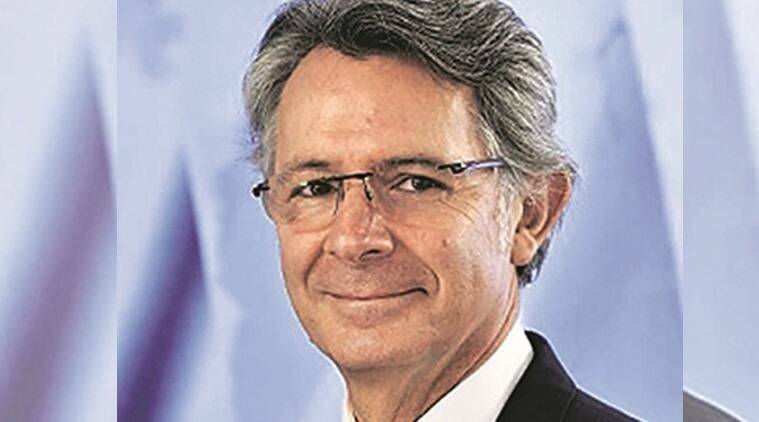 President and CEO Gaël Méheust said that despite the financially stressed situation of one of its customers Jet Airways, the firm has not faced any problems with application of the contracts. When you see one of your key customers in India facing financial turbulence, what measures do you take? The best thing we can provide to the customer especially when there’s a situation like that – and that is for everyone – is to make sure we provide to the customer all the value in the contracts – the assistance, ongoing support, all the analytics through the data we are collecting. The value proposition of CFM is to provide all the services, certainly as much as the customer needs. Are you worried about the Jet Airways situation? So far we haven’t had any problems with either Jet Airways or SpiceJet or anyone. The contracts are going on and we are supporting them. You mentioned India being a strategic market for CFM. Does manufacturing in India figure in your plans? We already have a few suppliers in India. We have a JV between Safran and HAL, which produces low-pressure turbine blades — a key component for our engines. We also have contracts with Tata to produce pipes and tubes. We have at least six suppliers from India that the parent company of CFM is using in India. At a time when fuel costs are rising, are airlines expecting something incremental from engine makers to improve operational efficiencies? The CFM 56 engine model entered service in 1982 and all along in its life, we managed to improve fuel savings by 8 per cent. The LEAP engine saved 15 per cent more. For 25 years we improved by 8 per cent and 15 per cent with LEAP. Today, airlines and airframe makers are still in the mode of recognition of that and we have invested billions of dollars on the engine. Currently, we are ramping up the production and it is not the right time to be changing the bill of materials. The ramp up is very challenging and one reason why we are capable of making it the way we want is that we had the right design the first time. We didn’t have to fix things. There will be a time in the course of LEAP program when we will provide improvements but that time isn’t now. Does dealing with low-cost carriers bring any specific challenges? An engine operator is an engine operator. They use it in the same way. Their business model might be different but from our point of view, it is the same. We have services and customers pick and choose our services. Some of the low-cost carriers have little engineering capabilities and therefore ask us to provide them services in that field to manage power plant but other than that whether you are a legacy carrier or not, it’s the same. Usually if you have short cycles, the engine deteriorates sooner and needs to go to the shop sooner. If you make long cycles and operate in a more cool environment, you can keep the engine running longer. CFM signed a branded service agreement with Lufthansa Technik to make it a part of the maintenance, repair and overhaul (MRO) network for LEAP-1A engines. Are you in talks with any of the Indian organisations for this? We have a worldwide vision of our market because our presence is worldwide. We know that there is a certain capacity of MRO that is required for all the engines. So what we do is we have talks with companies who want to develop capabilities and we have a process, which we put down till we have an agreement. That was the case with Lufthansa, and there will be others. Given that you envisage India to be a big market, is simply having a training centre here enough to cater to your clients? The Hyderabad facility is designed to train a lot of engineers. We have already covered more than 500 and we are also training people from outside India. We are sending clients from outside India to the training centre. That’s the plan, we have just started but there will be more.